It’s Springtime. Buds will bloom, green grass emerges, and the tried and true tradition of spring cleaning is afoot. But if you think that your spring clean has to be limited to your linen closet or garage, think again. Spring can be a great time to spring clean your financial life, including your records, both paper and online, in order. Having piles of unorganized documents can wreak havoc on your mental health and can pose a threat for costly errors. 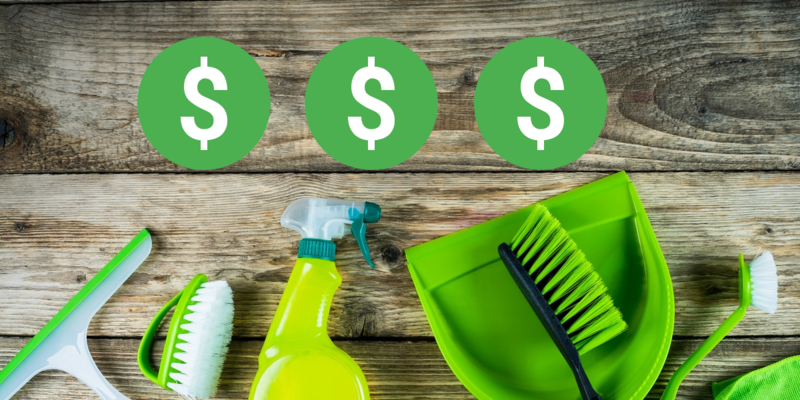 Let’s take a look at some ways you can enact a solid spring clean for your financial “house” and start the season off right. Call your home and auto insurance agent and see if your current needs may support a premium reduction. Do a full review of your budget and adjust for any changes that have occurred. Copies of your filed tax returns. According to the IRS, you should keep filed returns forever. The reason they suggest this is because you can use the documentation to file an amended return if needed and to serve as proof that you filed a return for that year. The IRS says it generally audits taxes back three years, so it’s a good idea to keep records documenting deductions at least three years after a return was due or filed. Keep in mind, however, that if the IRS finds an error that they feel is large enough, they may decide to look back as much as six years, so you might want to keep records longer to be on the safe side. Hold onto your payroll tax documentation for six years. If you didn’t report income equalling more than 25 percent of the gross sum you did report, you would be accountable to the IRS for six years. Documents Related to An Insurance claim. You can inquire with your auto, home, or rental insurance agents what claim documentation you should keep and for how long. Before tossing documents, check in with your financial services companies and banks to see how long they keep electronic data of your essential records before you throw out documents. Don’t forget to touch base with your 401(k) provider during your financial spring clean as well. It’s a good idea to download copies of insurance records, bank records, and other vital documents to your computer. Take it a step further by then saving the information to cloud storage or a separate hard drive. Having an additional service that saves your computer’s information to cloud storage as you go is a nice back up to have as well. You can also ask your fiduciary financial advisor to keep copies of items such as insurance statements and estate planning documents for you so they can be easily accessed during your planning process. Create a habit of scanning and then shredding items that you want to keep and file. Be sure you have your computer files categorized and organized so you can quickly file scanned items into your system. Renters and homeowners alike benefit from creating an inventory of possessions. Technology makes the job fairly simple. Whether or not you are a homeowner or renter, it makes sense to take inventory of your property. Using today’s technology makes it simple to do. Use both the photo and video option on your smartphone to do a walk through at your home and document and price the items in your home that you may need to make a future insurance claim if it were to become damaged or stolen. Don’t forget the items in your garage and exterior. Include cars and car accessories. Note the price you paid for each item and the date purchased if you have it. Write it on the picture or save the information with the photos on your computer. Going forward, make sure to take photos photograph of new items as they are purchased or received. Save receipts with your records. Look at your accounts annually and if you have If you some that are unused, close the ones that are providing little or no utility. Shred the information related to the closed accounts. There’s no reason that you have to pay fees or get low-interest rates on your account. Research which banks offer the best products and rates and switch if you are not getting a good deal. For more information on tips for doing your own financial spring clean and to explore other topics like this, please visit our blog. If you’d like to take advantage of a complimentary financial assessment, please contact us today to schedule a call.